It doesn’t matter how you slice it, taking your family on vacation these days is not cheap. And let’s be honest, your wallet might as well just be left permanently out and open when you do take the family on a trip, especially if it’s somewhere like a theme park. So, maybe an all-inclusive family vacation is the way to go? No, not like one of those beachside resorts where the kids get bored after day two. 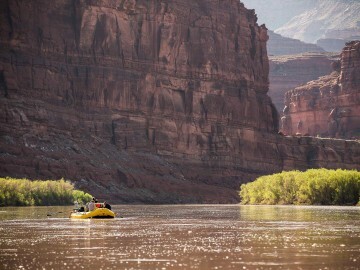 How about a week-long Cataract Canyon rafting trip on the Colorado River through Canyonlands National Park? 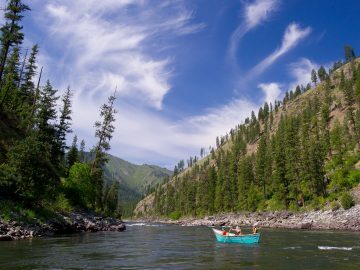 Or, an exhilarating multi-day paddle down the Main Salmon River, deep in the Idaho wilderness? 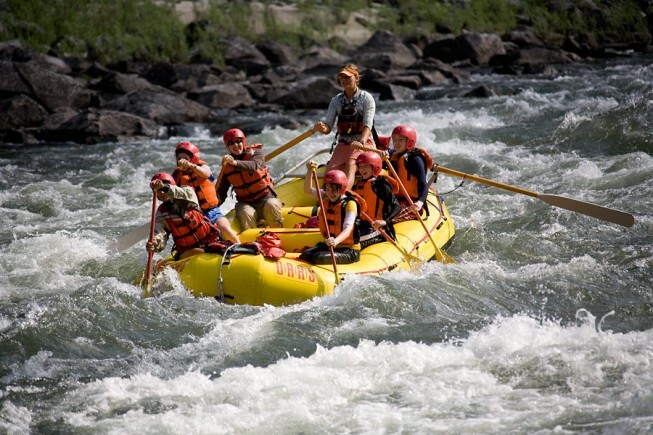 Bet you never thought of a rafting trip as an all-inclusive vacation. But think about it. 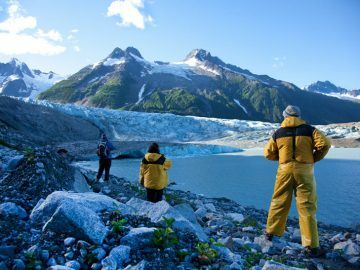 When you travel with an adventure company, they bring all the gear (so no fights packing up the car), every room (ok, tent) has a waterfront view, the guides shop and cook for you (we’re not talking about hot dogs and cheesy fries here), and all of the thrills and activities are included. And guess what? 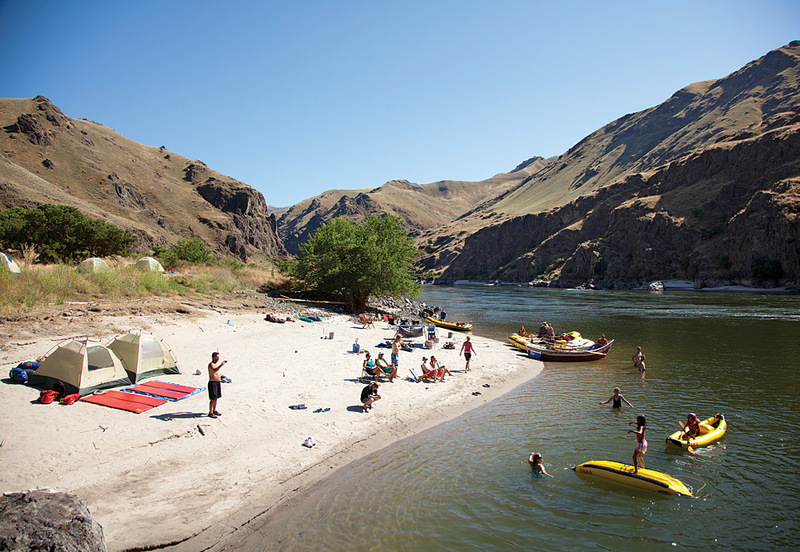 You don’t need your wallet on the river. Now doesn’t that sound like the perfect all-inclusive vacation? 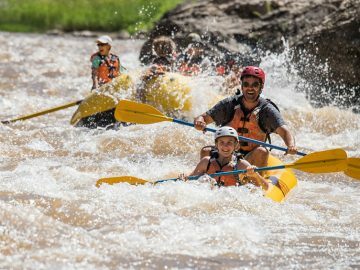 Just you, your family and an intimate group of fellow adventurers. OR… Mobs of the most annoying people you’ve ever come across. 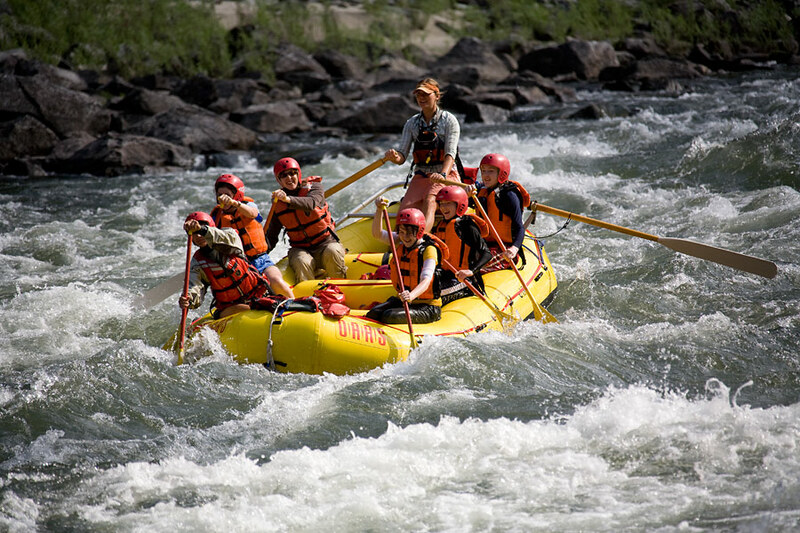 Putting your lives in the hands of expert river guides. OR… Putting your lives in the hands of freaky carny guys. Hiking to an amazing waterfall. OR… Hiking to the front of the line. Steak, mashed potatoes and a green salad with a glass of wine riverside. OR… Corn dogs and Budweiser at a sticky picnic table. Glow bocce on the beach for fun. OR… Throwing darts at balloons for junky prizes. Staring at stars at the end of the night. OR… Staring at brake lights at the end of the night.